1661 was a common year starting on a Saturday in the Gregorian calendar, and a common year starting on a Tuesday in the Julian calendar. January 6 – The fifth monarchy men unsuccessfully attempt to seize control of London. George Monck's regiment defeats them. January 30 – The body of Oliver Cromwell is subjected to a posthumous execution. 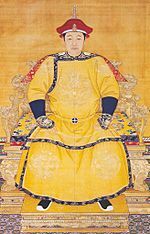 February 5 – The Shunzhi Emperor of the Qing Dynasty of China dies and is succeeded by his son the Kangxi Emperor. April 23 – King Charles II of England, Scotland, Ireland crowned in Westminster Abbey. This is his second crowning. April 28 – The University of Santo Tomas in Manila opens. It is Asia's first University. June 30 – The first Earl of Argyle is executed at the Mercat Cross in Edinburgh for treason. August 6 – Portugal and the Dutch Republic sign the treaty of The Hague, whereby New Holland in present-day Brazil is ceded to Portugal. 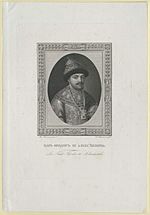 December 30 – Drottningholm Castle in Stockholm is destroyed by fire. 1661 Facts for Kids. Kiddle Encyclopedia.